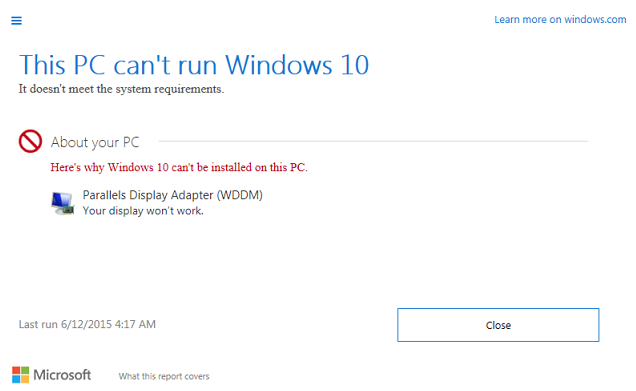 I am trying to reserve my free copy of Windows 10, and the Microsoft Windows 10 reservation dialog says Windows 10 will not run on my computer due to Parallels Display Adapter (WDDM). 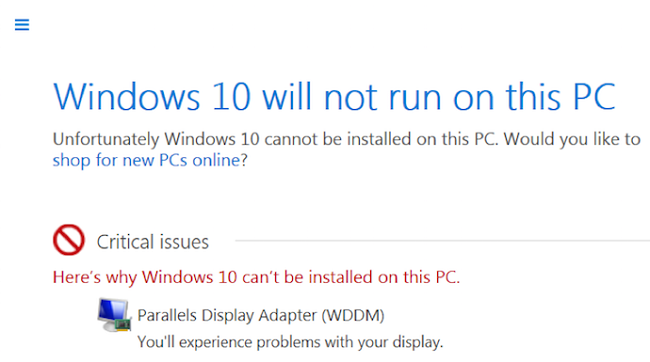 You receive this warning due to the fact that the Parallels Display Adapter driver is not included to the list of drivers compatible for Windows 10 Update. 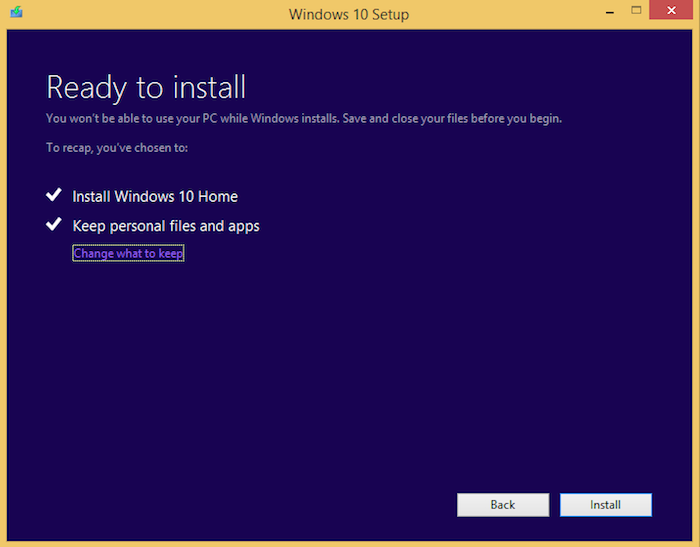 Make sure that you are running the latest Parallels Desktop update. Check your Windows virtual machine for pending updates (using Windows Update service). Make sure to install all pending updates. 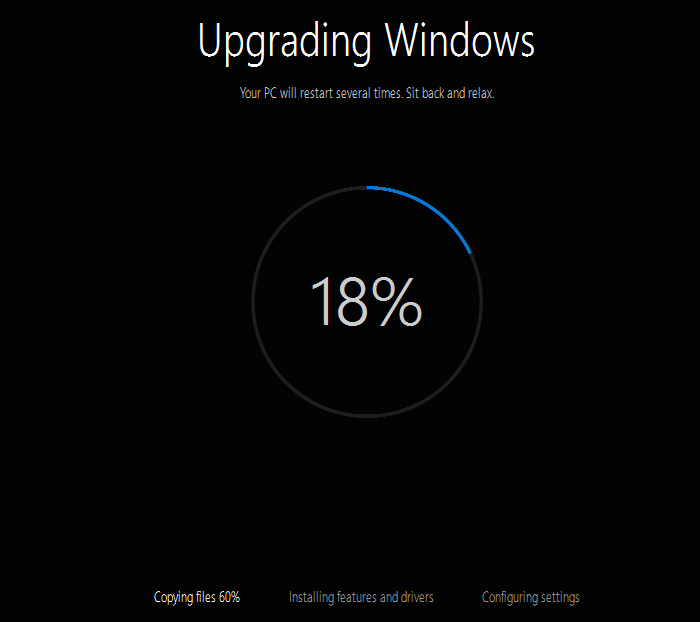 Once the updates are installed, try again to perform an upgrade via the Get Windows 10 app. 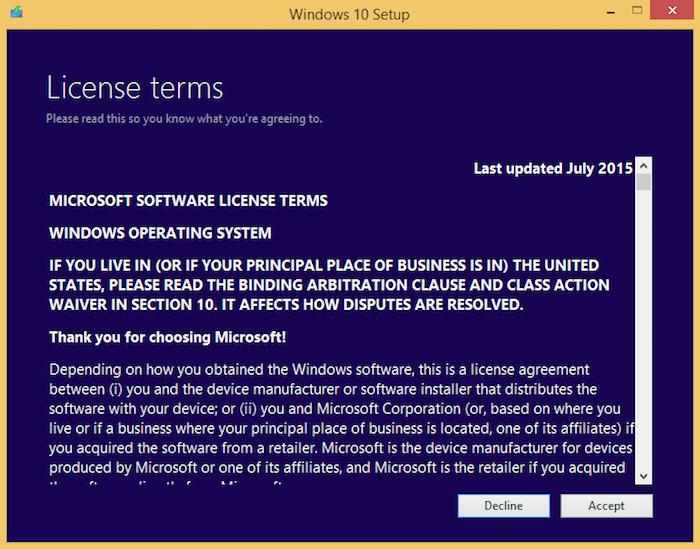 If you still receive an error, visit this article to find out whether your Windows version is 32-bit or 64-bit. 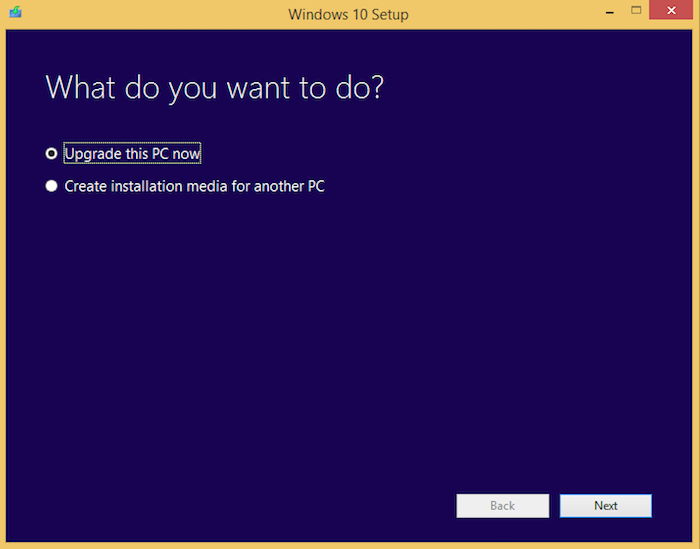 Can I upgrade my virtual machine to Windows 10?